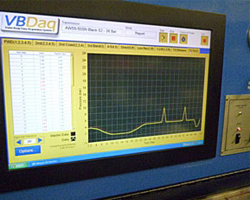 Continuing STA’s commitment to keeping abreast of continued development in the field of automatic transmission we have made a substantial investment in the FIRST all digital, touch screen, diagnostic and calibration machine for valve bodies. 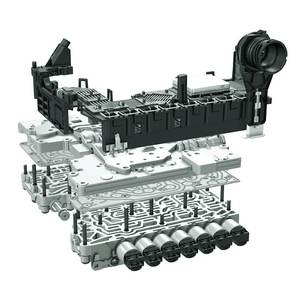 Modern transmission use highly sophisticated electronics to run the hydraulic control of the gearing system. 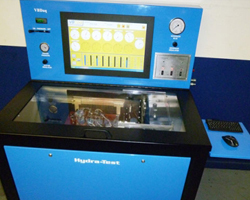 The ONLY method of testing and calibrating these increasingly complicated systems is via a bespoke computerised test bed… the Hydra-Test. The Hydra-Test has been specifically designed to do this. Its touch screen ‘dashboard’ allows the control system to be run manually, automatically or through a standard protocol for each different gearbox. Once a test has been instigated, the performance and accuracy is compared to a memorised standard and the results are displayed for individual parts of the valve body. From that a results sheet can be either printed out and saved to our database. The test procedure checks both the hydraulic and electronic performance in a way that reproduces its use in the vehicle. The latest generation solenoids used in modern transmission not only switch things on and off but govern pressure to preset performance curves. The Hydra-Test plots the measured pressure curve against the required one and allows instant graphing of the result. If calibration is out we can use the same test to recalibrate the solenoid to required limits. None of this can be carried out manually or by guess work.